Sprinkle chicken on both sides with salt and pepper. Heat oil in heavy medium skillet over medium-high heat. Add chicken and sauté until brown, about 6 minutes per side. Add orange juice and broth to skillet. Simmer until chicken is cooked through, about 5 minutes. Transfer chicken to plate. Add mustard, honey and pepper sauce to skillet. Increase heat and boil until sauce thickens enough to coat spoon, whisking occasionally, about 7 minutes. Return chicken to skillet. Simmer until heated through, about 1 minute. 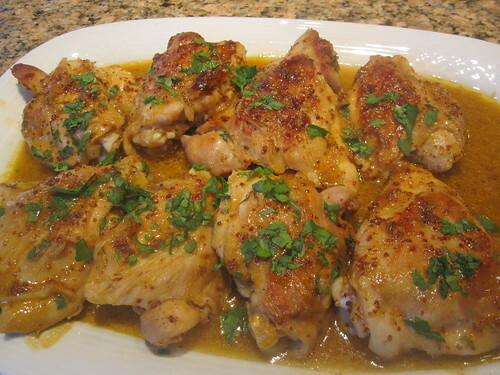 Transfer chicken to plates; top with sauce and serve.